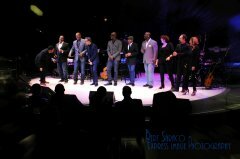 The NYCB Theatre at Westbury – still referred to by most Long Island residents by its former name, The Westbury Music Fair – hosted a musical summit of sorts. 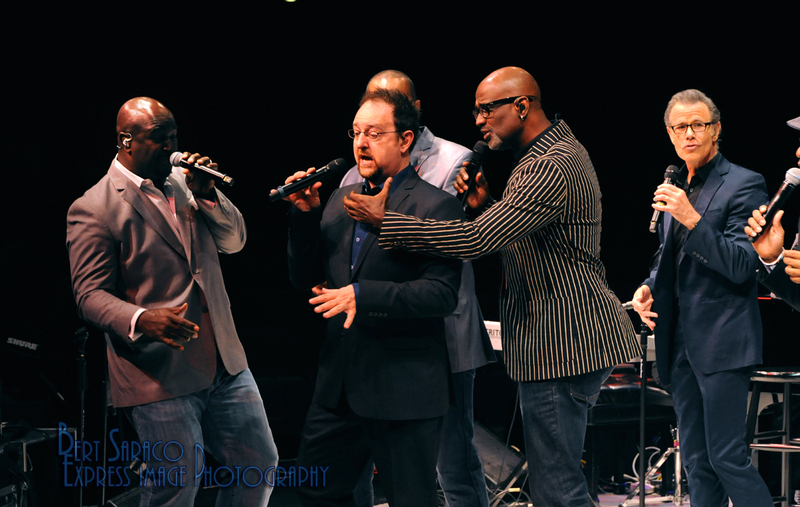 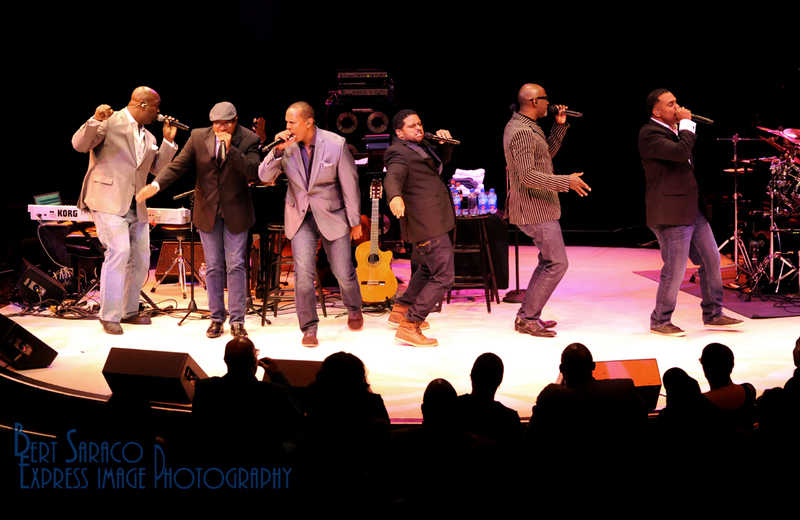 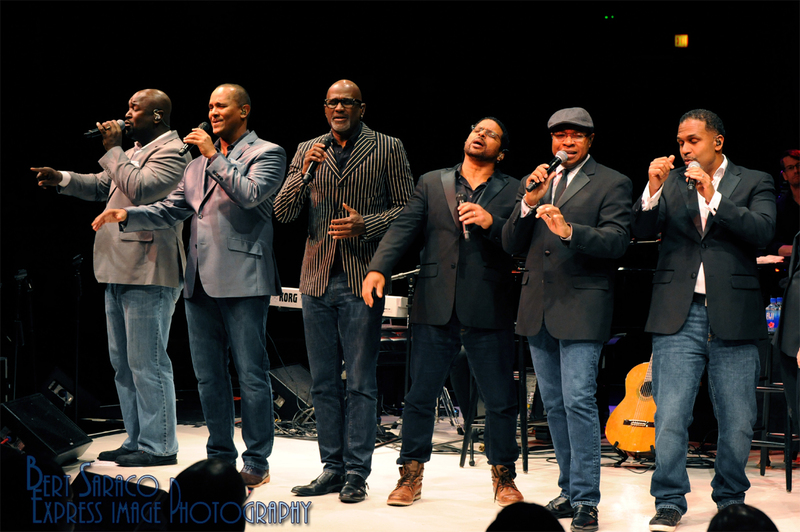 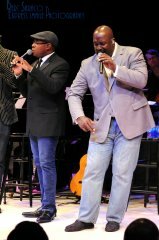 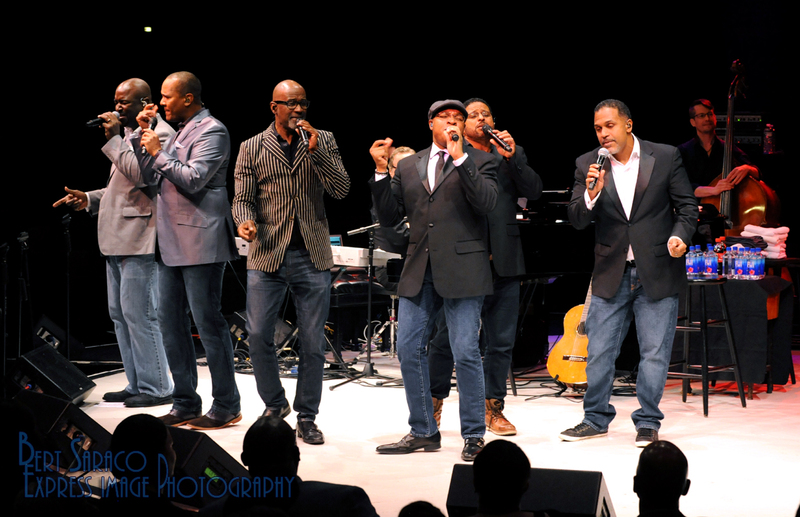 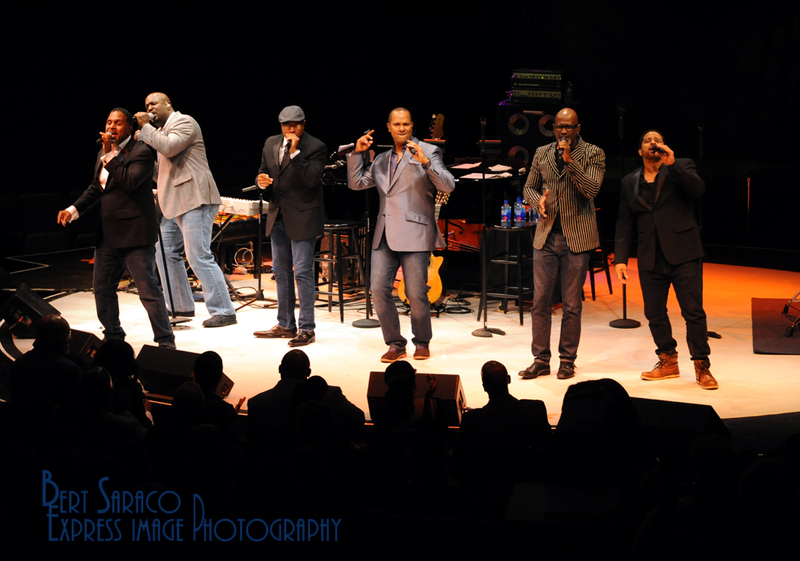 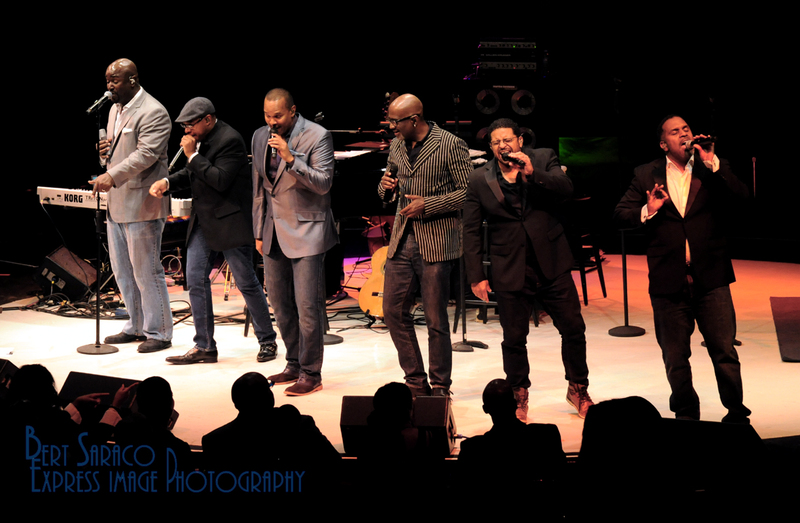 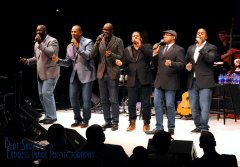 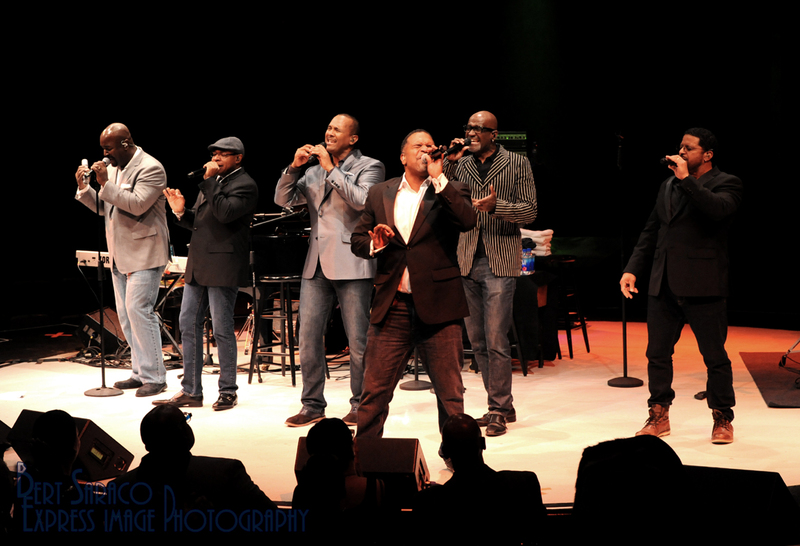 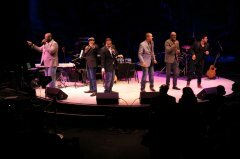 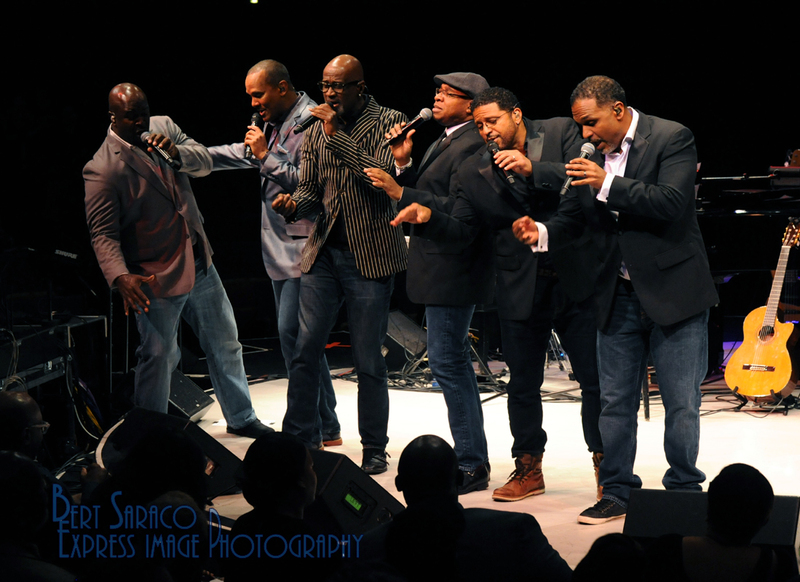 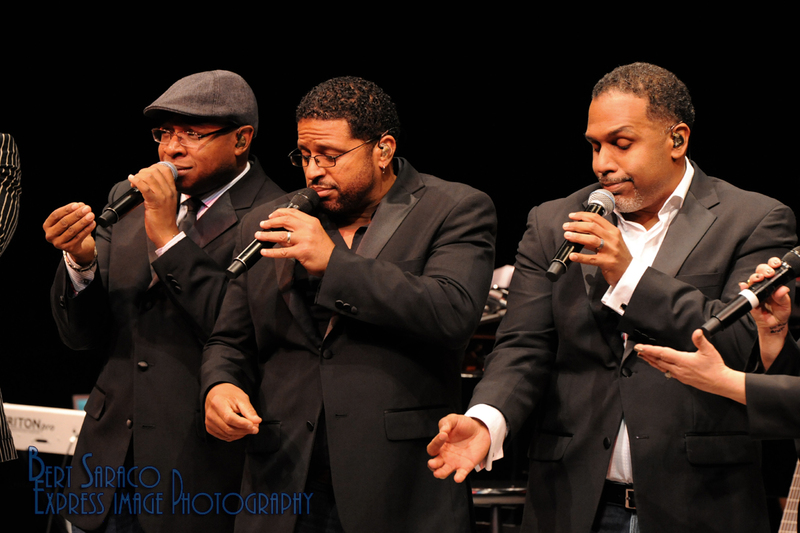 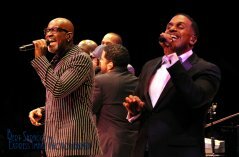 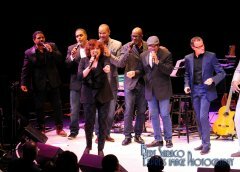 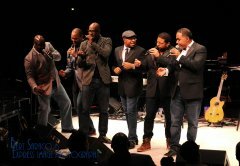 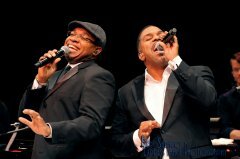 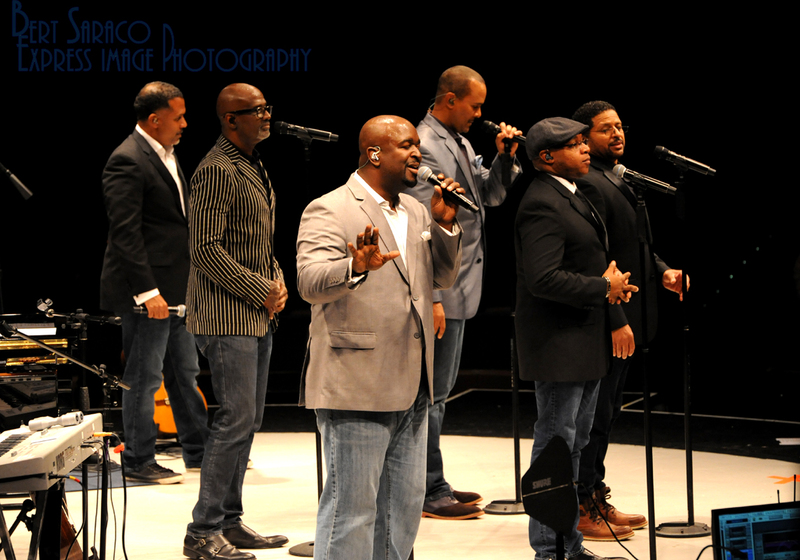 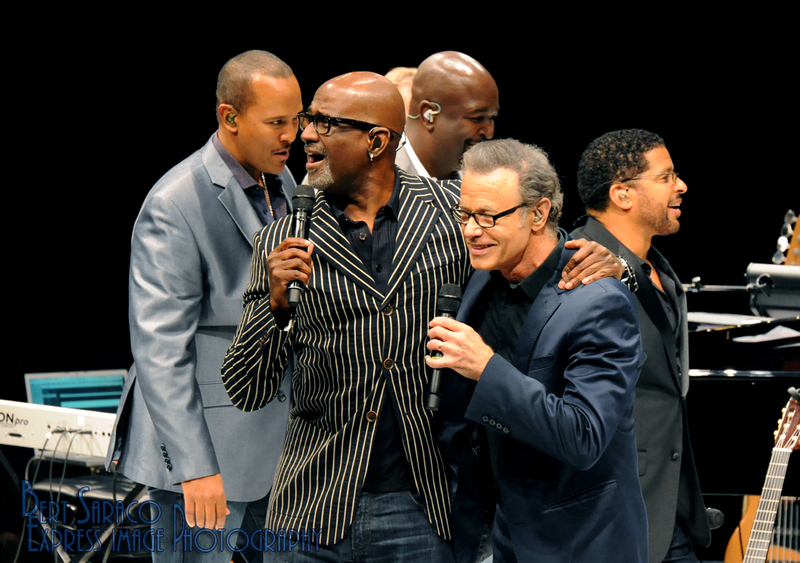 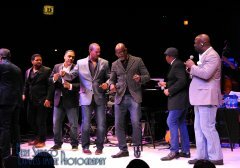 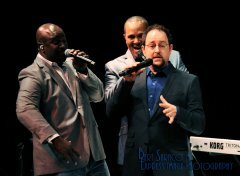 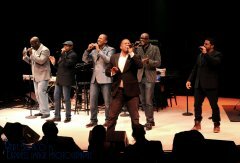 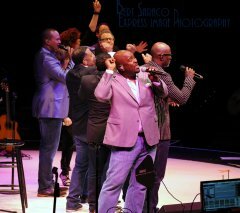 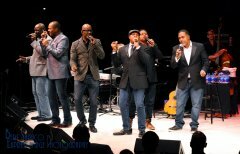 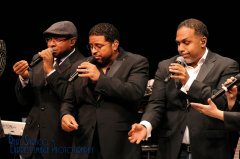 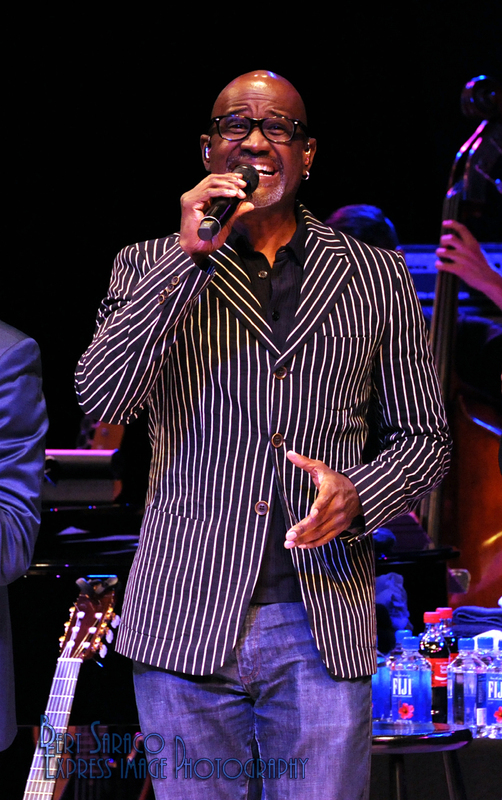 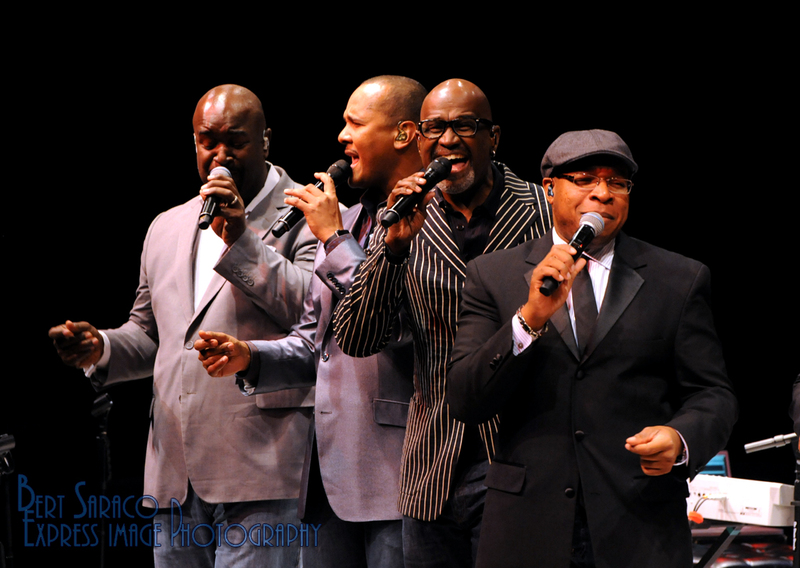 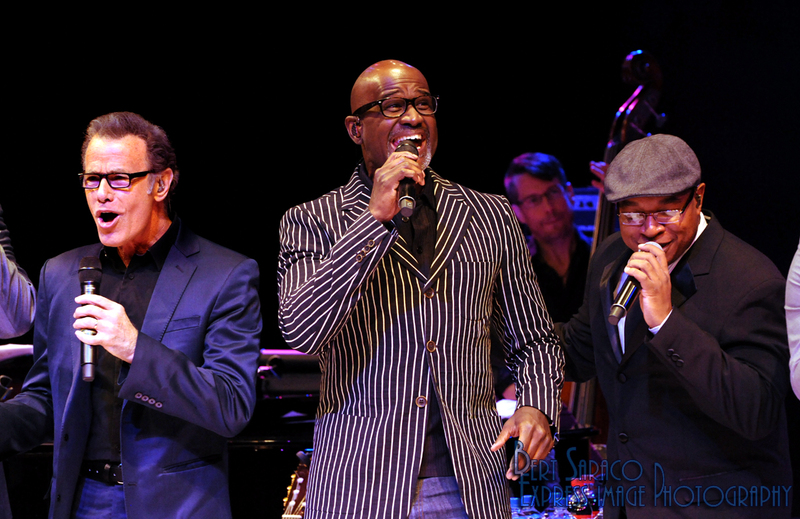 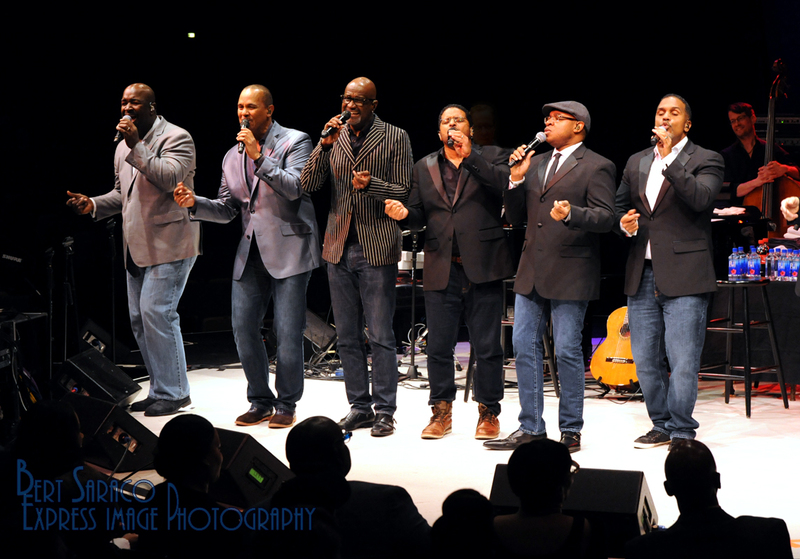 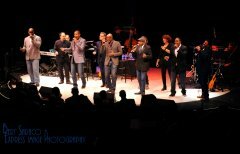 Take 6, the group that, in the late 80s, essentially revived the mostly-dormant (at the time) a cappella movement, went larynx-to-larynx with The Manhattan Transfer, the jazz/pop fusion vocal group that emerged in 1971 with their popular debut project, Jukin’. 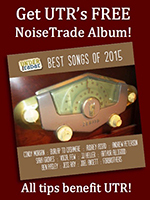 Featuring doses of vocalese with moments of a cappella, The Transfer was more about retro-swing in a similar vein to their contemporaries, Dan Hicks and His Hot Licks, where Take 6 had roots in gospel standards, smooth jazz, and the vocal arrangements of the legendary Gene Puerling, founding member of The Hi-Lo’s. Certainly, both groups are more than ‘just’ a cappella, each transcending their original categories, and a ‘summit meeting’ was perhaps inevitable, if unlikely. 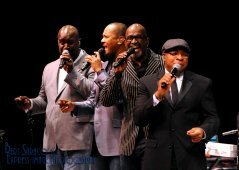 But now, to the delight of fans of these respective vocal groups, it’s happened. 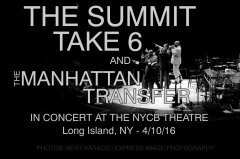 The NYCB Theatre is in-the-round, although for this night’s performance the circular stage would not be revolving in favor of having a curtained-off backdrop and playing to three-quarters of the room. 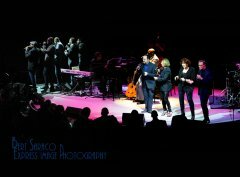 No one in the audience was quite sure what format the performance itself would take, although the announcement that there would be no intermission indicated that the two groups would most likely share the stage at various intervals. 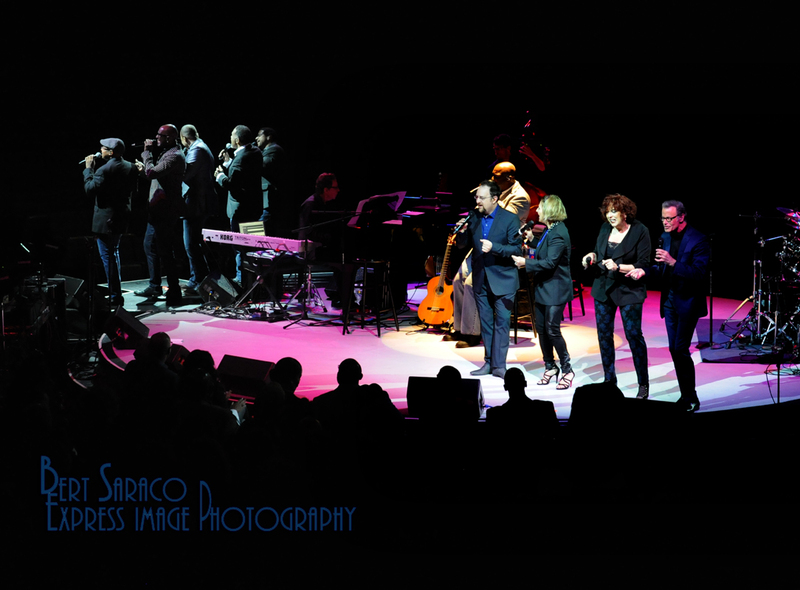 The presence of an acoustic and an electric piano, upright bass, and drums indicated that this would not be an a cappella voice-off and, sure enough, when the lights went down, not six, but ten people stepped up to the microphones (with ‘at least 20 Grammys between them,’ according to the introduction) backed by the tight, jazzy instrumental trio. "That's Killer Joe" started the night's entertainment with some cool jazz. 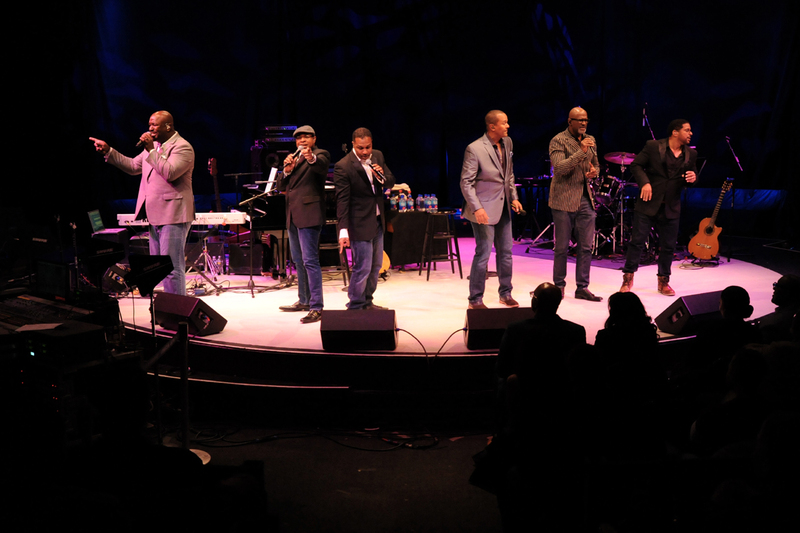 The second number went straight to a pure a cappella version of “Straighten up and Fly Right,” complete with Take 6’s signature vocal ‘brass’ section. 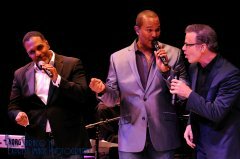 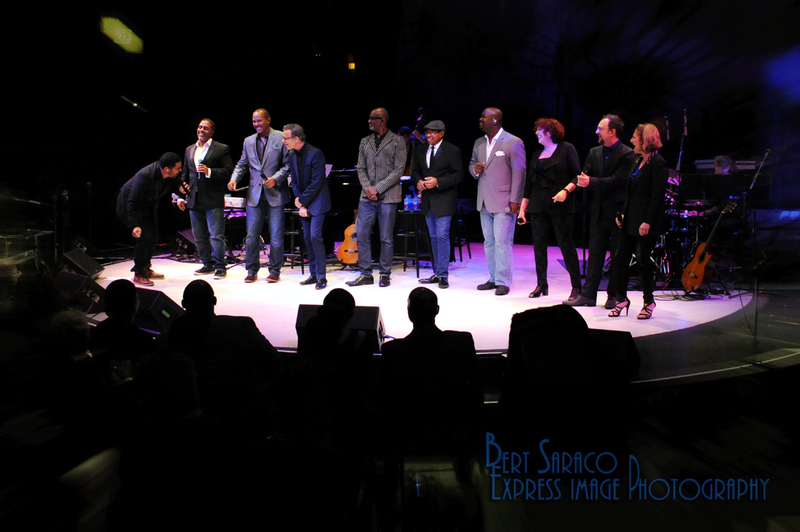 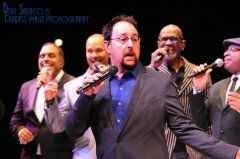 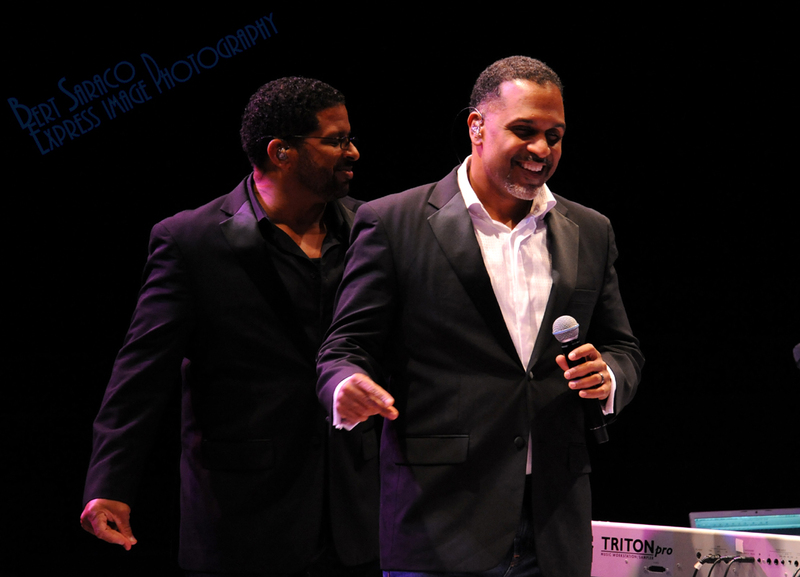 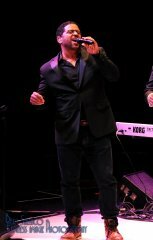 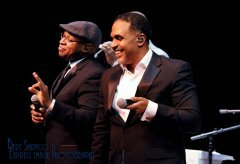 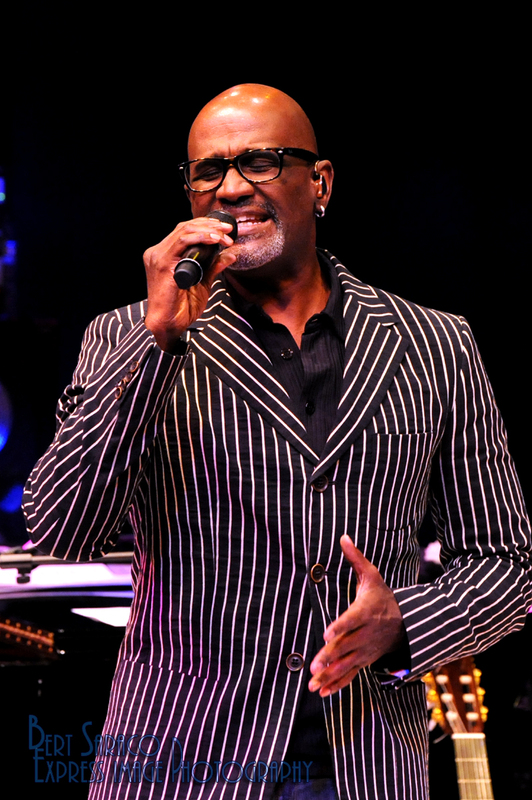 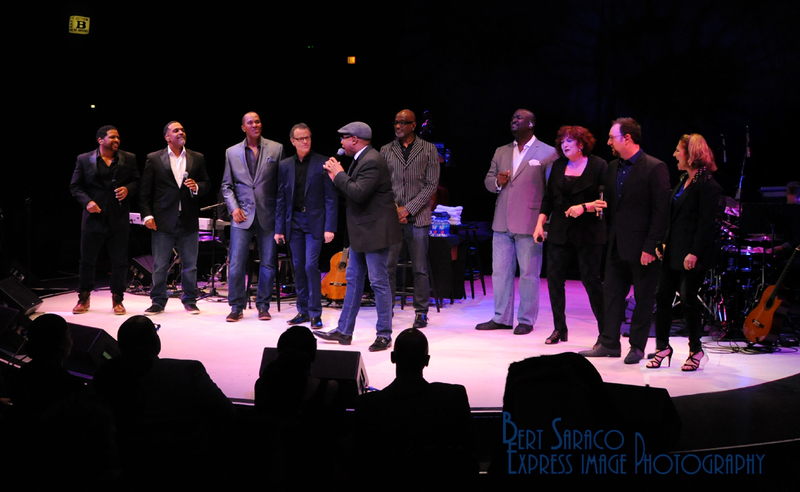 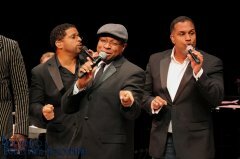 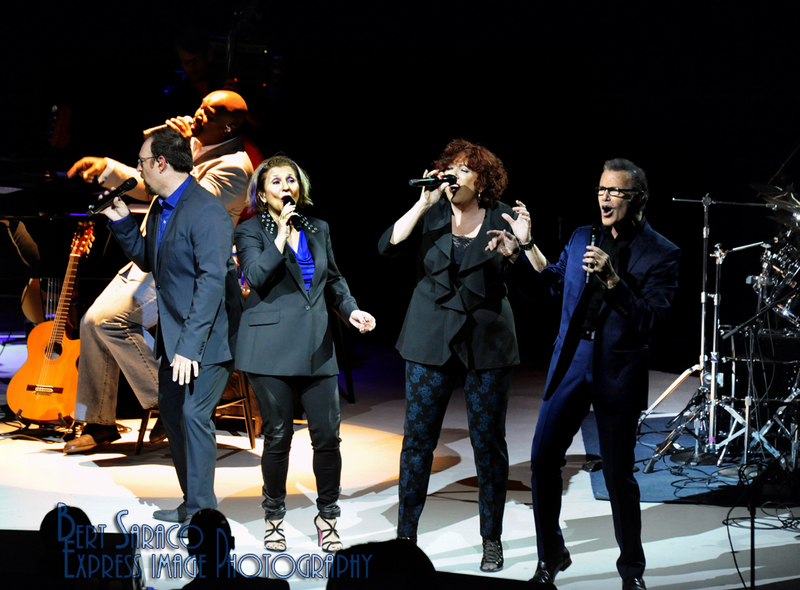 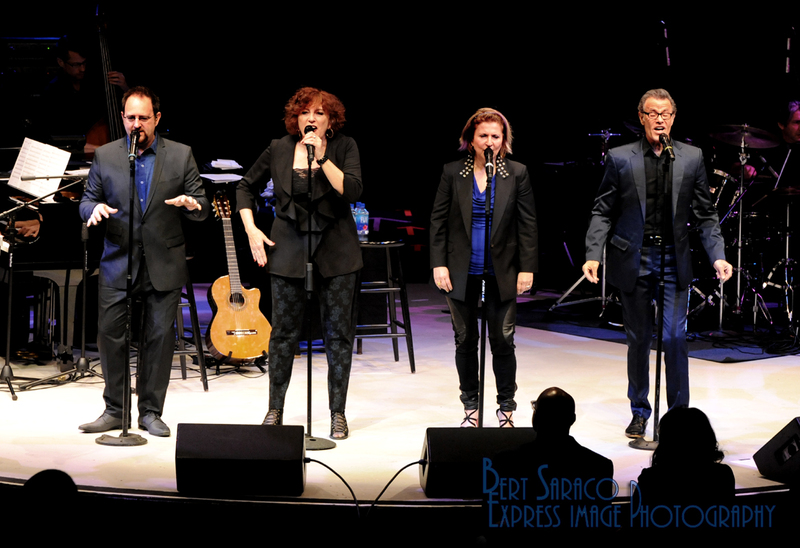 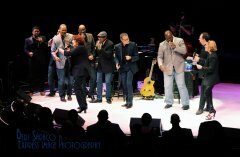 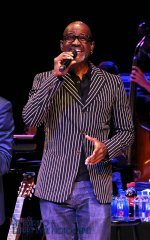 As the substantial applause faded, the members of Take 6 withdrew through the curtain and The Manhattan Transfer started their ‘solo set’ with “Tuxedo Junction,” taking the audience along for a nostalgic ride through the swing era and into some 50’s do-wop. 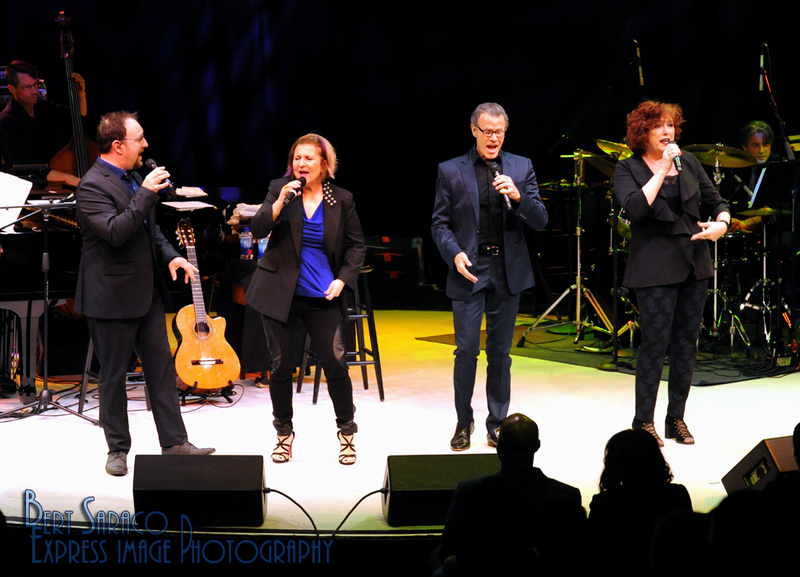 The current line-up of Cheryl Bentyne, Janis Siegel, Alan Paul, and Trist Curless are energetic and animated as they sing, obviously aiming to bring a good dose of fun as well as nostalgia to the audience. 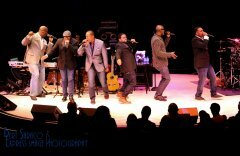 After a few more songs Take 6 re-emerged and took the spotlight. Claude McKnight leads into “Just in Time” (with Alvin Chea tossing in a snippet of “As Time Goes By” for good measure) and the six voices are as smooth as silk, washing over the audience in sheets of audio cool. Things go from jazzy to funky before too long with the sextet offering ‘Long Island re-mixes’ including stunning versions of “Happy,” and a teaser-portion of “Spread Love.” Mark Kibble, Claude McKnight, Alvin Chea, David Thomas, Joey Kibble, and Khristian Dentley don’t expect you to just be enthralled by their vocal chops, though – Take 6 knows how to entertain an audience with their physical interaction and stage choreography. 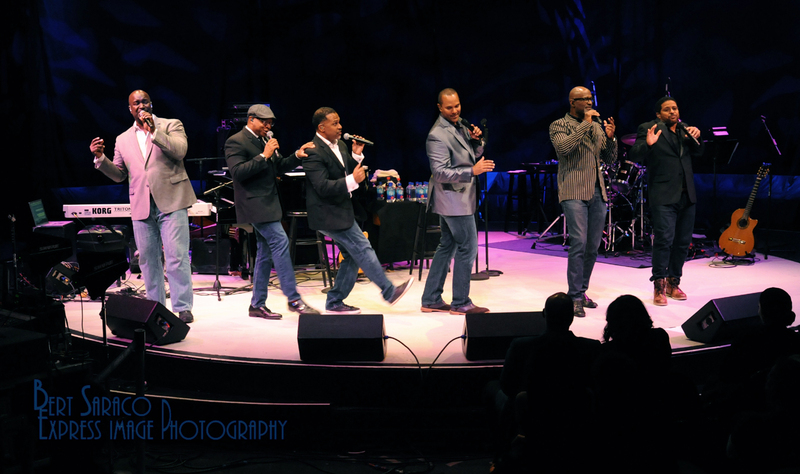 The six men command the stage from one end to another. 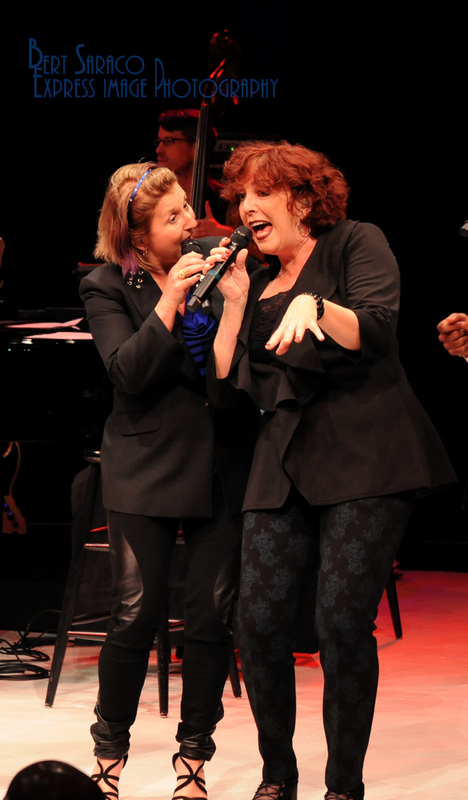 Of course there were surprises as well as some omissions. “Java Jive,” for instance, was curiously missing from The Manhattan Transfer’s set-list, as was “Spread Love” from Take 6. 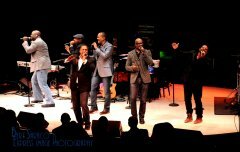 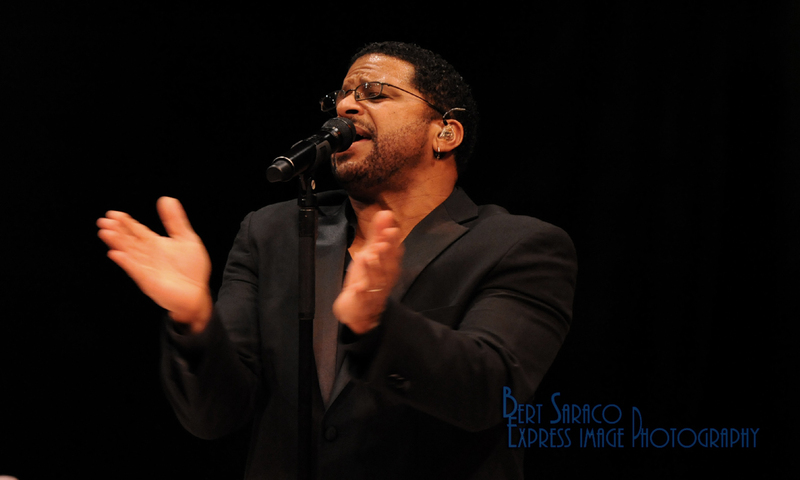 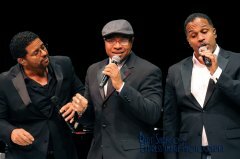 An unexpected surprise was Take 6 performing Stevie Wonder’s “Overjoyed,” featuring not only their impressive vocals but Chea on piano and David Thomas and Joey Kibble on acoustic guitars! 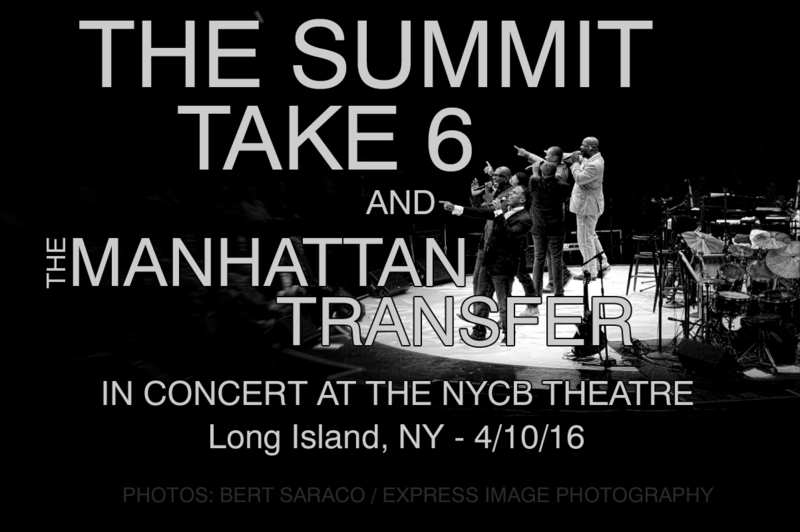 I mean, if that’s not worth the price of admission, what is?